The Centre for the innovation and development of education and technology (from now on CIDET) is a training and consultancy consortium focused on adult learning and educational technology. CIDET is set in the city of Castellón (Spain) but works with cooperation with partners throughout the whole country and abroad. 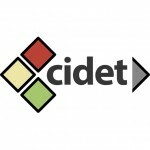 As a consultancy and guidance consortium, the main strengths of CIDET are the expertise and knowledge that could be applied for develop and create learning environments, research and innovation of specific and tailored-made pedagogical approaches, the quality assessment, improvement of already existing learning programmes, offer of training courses and design and finally the implementation other activities and materials that can be useful for dissemination and exploitation of the results. 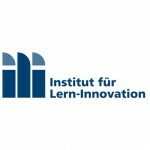 The Innovation in Learning Institute (ILI) at the University of Erlangen-Nürnberg is the coordinating institution of the project SenApp. In its research and development, the Innovation in Learning Institute (ILI) focuses on innovation processes in lifelong and lifewide learning and teaching in a systemic perspective. ILI contributes, with its research, to improved insights into learning processes, their framework conditions and impact, particularly with the influence of rapidly and pervasively changing societal and technological processes (e.g. demographic change, globalisation and mobility, individualisation and value change, technological innovation, ways into knowledge society). ILI designs and develops methods, tools and subsystems that can initiate and support the implementation of learning systems for change. ILI transposes these results into innovative offers for learning and skills development that are sufficiently large and visible to allow the transfer of their successful elements to a broad societal application. 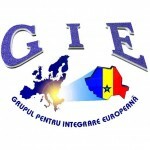 Grupul pentru Integrare Europeană (GIE) was created in 2002. Its mission is to contribute to EU integration process through educational activities, professional training and cultural activities. GIE has 28 full-time and part-time employees and implements a large spectrum of activities, namely: LLL and VET theoretical & field research, analysis, data processing, comparative studies, development of LLL and VET strategies & methodologies. GIE’s activities also focus on curriculum design, educational materials development, didactic evaluation, process assessment, elaboration of dissemination materials. GIE accredited, through National Authority for Qualifications, a series of professional courses and became a training provider known within the Argeş region. 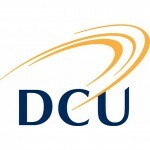 The DCU Intergenerational Learning Programme is part of the School of Education Studies. It began in 2008 to engage older people from the wider community and DCU students in a reciprocal teaching and learning opportunity in a third level environment. It started with a small number of classes on Saturday mornings, where older people were joined by DCU student volunteers to learn basic ICT skills, and gradually evolved, through engagement and dialogue.